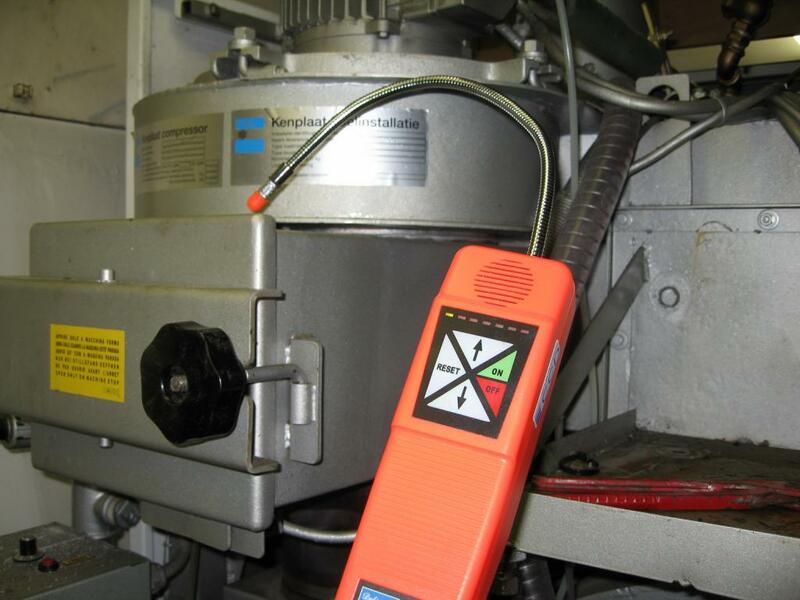 The leak detector measures the smallest leaks of solvents in cleaning machines. It is extremely accurate. The flexible probe of the detector works in inaccessible places and has seven sensitivity settings. The built-in pump provides fast measurements, which are clearly readable from the LED display. 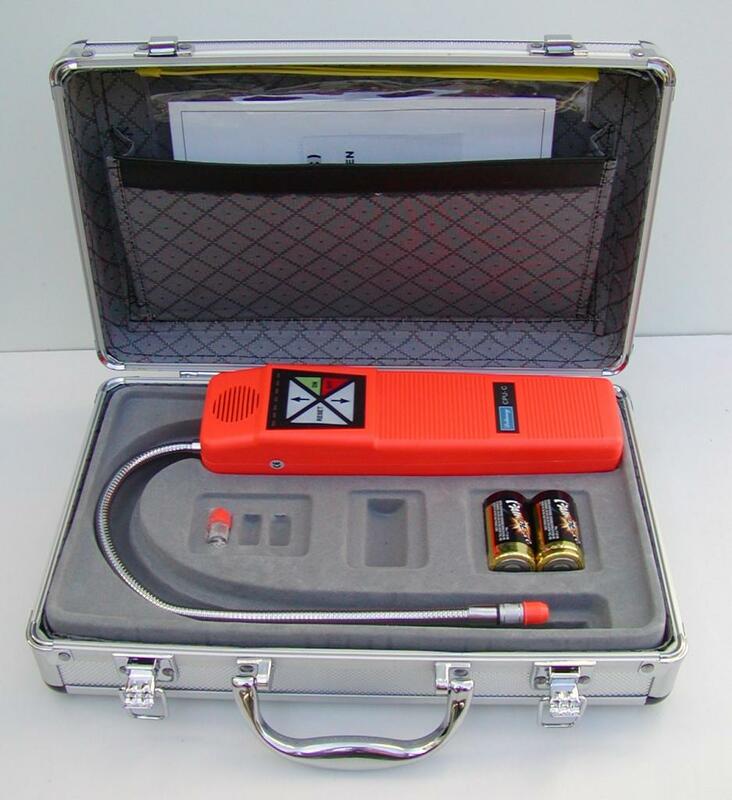 Want to learn more about the leak detector? We will give you a description, specifications and a checklist. We have especially selected this leak detector for self-inspection of solvent or vapour leakage. By carrying out a regular inspection you can prevent problems. This detector is very sensitive, so that even the smallest leakages can be traced. Leakages can occur always due to e.g. wear of gaskets, temperature influences etc. When working with solvents, refrigerants or gases it is necessarily to check the dry cleaning machines or refrigerators periodically for leakages. This detector can detect Perchloroethylene as well as refrigerants. In time tracing of leakages can prevent problems. You can save costs by repairing simple problems by yourself. The leak detector is easy to use and is provided with a flexible sensor. Because of this, it is possible to measure on places that are difficult to reach. True mechanical pumping provides a positive airflow through the sensor tip for a fast measurement response. When a leak is detected, both audio and visual alarm will be activated. The detector has seven sensitivity ranges. The leak detector is supplied in a carrying case, complete with user manual, 2 "C" batteries and one replacement sensing tip with protector.